Is Separation Anxiety in Cats a Myth? - Petpav - Your Online Magazine for All Things Pet! Is Separation Anxiety in Cats a Myth? Most dog owners know that their pups can and sometimes do develop separation anxiety. And while cats are pretty independent and it’s sometimes harder to read their emotions, they too can develop separation anxiety. There are some things to look out for in your cat that you might have thought was illness, but in reality, is separation anxiety. 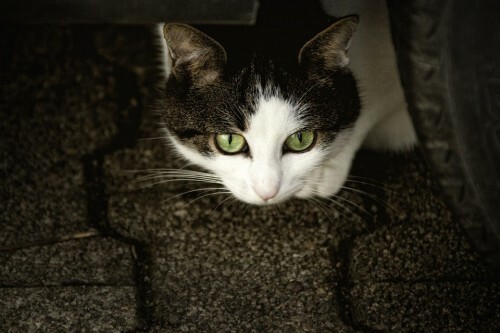 Some of the signs of separation anxiety in cats can include: hiding, pacing, loss of appetite, biting at his or her tail or fur, vomiting or meowing more often than usual. Some other signs include excessive self-grooming, eating too fast or not eating at all when you aren’t there. Cats are creatures of habit and can become stressed by any change. There are certain triggers that can cause a cat to become anxious such any change of environment, a new pet or even moving can cause your cat to be stressed out. Even something as simple as changing your work schedule can make our cats’ anxious! Are there certain times of day when your kitty seems stressed out? Does she meow and meow when you leave? How does your kitty adjust to change? Some cats can’t even stand if their food bowl is moved. Is there something in particular that triggers a stressed response? If you can answer any of these questions, you can seemingly adjust accordingly. Give your cat a room or area that is quiet and secluded and away from all the household activity and noise. This can be her go-to place when your cat is feeling stressed. It could even be a climb-up cat tower or shelter or even under a table in between your couches. When you play with your cat, it helps stimulate your cat, give him exercise and confidence. A cat loves to practice and engage in the prey drive and enjoy a successful capture, even if it is a play mouse. While playing tires him out, it can also help reduce anxiety. If you think that your cat is going to suffer from separation anxiety when you leave, you’ll just make it worse if you overdo the goodbye process. Your kitty will think you’re leaving for a month instead of just a few hours. Make your goodbyes very casual and leave. If you make a big production about it, your kitty will pick up on it and act out accordingly. With time and patience, you can figure out what is actually stressing out your cat. Our kitties don’t hold on to bad memories for too long, so if you can change the behavior, play with your kitties and give them lots of love and praise, you can help reduce the anxiety in your cats.